DD Security Services Pvt. Ltd. established in 2012 with the vision of providing international standard security services and training, is an ISO Certified company. The rationale behind the establishment of the Company is to ensure maximum security together with honesty and the flexibility for the services that we provide. Quality is delivered by the team of highly trained personnel who share an equal understanding and commitment with the Company to establish a secure and friendly environment. We have been training approximately 4,000 security personnel every year in Nepal with national and international course standards. They are employed in country and majority of them are working in the international market, especially in the UAE. DD Security Service Pvt. Ltd.
Our vision is to be the pioneer and exemplary Security Company in Nepal and to support the government security system as a whole. To provide the best and decent security services and training with broader coverage in Nepal. To produce and supply competent and professional security personnel according to national and international standards. To use the latest technological equipment's maintaining international standards. To maintain core value of company by all security personnel. Since the companies under the Group have sister concern relations, the integration and co-operation among each other produce synergy in performances. Nepalese people keep pride and feel glorious about the history of their ancestor Gurkhas who earned name and fame globally for bravery and honesty. Thus, generally people from the middle and lower class of the Nepalese community, they are passionate about working as a security personnel. We are the security company to provide international standard security training such as DPS(SIRA), PSBD(PSCOD) and NSI courses. We are well equipped with the decent security tools for the training to ensure effectiveness and international standards. 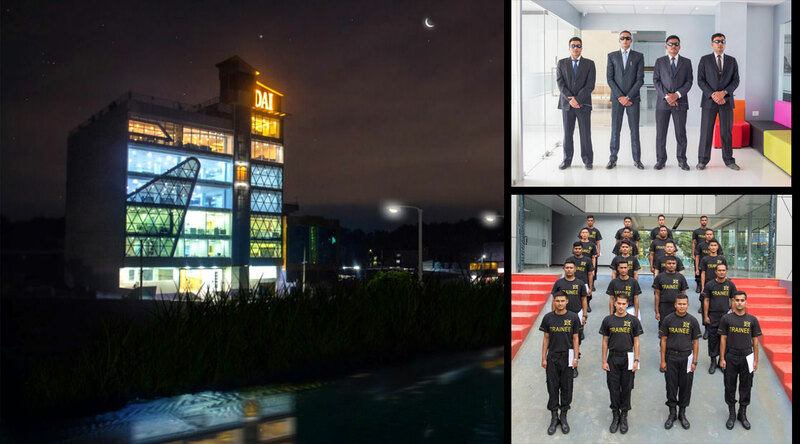 DD Security Services is well known among the Security Companies in the international market including UAE, the business hub of the Middle East acknowledged for its quality services including supply of thousands of well-trained security personnel. The company provides the national and international standard training courses in Nepal that have been very useful to those seeking career in security industry in the international market. DD Security Services is continuously striving for the betterment in quality service, upgrade in the standard and inclusion of latest technology and tools in its services. Introduce and use modern and latest technological equipment. Supply competent, disciplined and professional security personnel to meet the all types of security challenges. Enhance self-reliance implanting employable skills and training. Create job opportunity to the unemployed youths and ex-security personnel of country. Respect and follow the core value of organization. Efficient management system in organization.